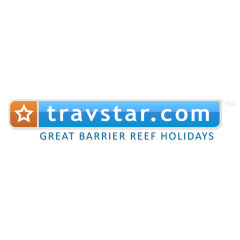 Travstar is a Cairns based Australian Retailer & Wholesaler of Queensland Holidays. We Create custom made accommodation and tour holiday packages. "Ask a Local" is our motto. We endeavour to provide first hand advice & unique, tailor made holiday packages for our customers. Our consultants visit and experience all the accommodation and tour options promoted on our web sites so we are able to pass our first hand knowledge on to our customers. We specialise in creating Holiday Packages for visitors to Cairns & the Great Barrier Reef. Our Office is open 7 days and is located in Cairns City. If you need some advice or help planning your holiday in North Queensland call us and one of our friendly consultants will be happy to help. Please send all enquires regarding accommodation, tours and packages via the enquiry form in the appropriate page. 4 night Fitzroy Island Resort & Ferry package offers an unbeatable price for a magical tropical rainforest island experience combined with return ferry transfers from Cairns.